Hunting has deep roots in our country and one of the most common game to go after are deer. 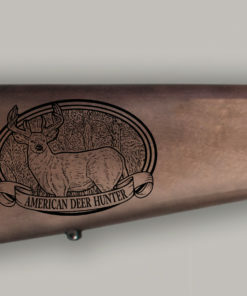 The two most common types of deer are the Mule Deer and the Whitetail deer. 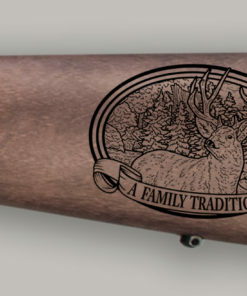 People have traveled far and wide to meet up with family and friends to enjoy the season. 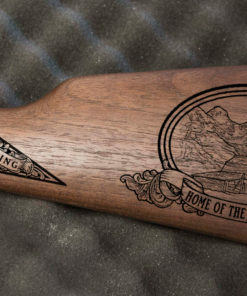 The hunting camp is made up of camaraderie and tales of hunts of the past. 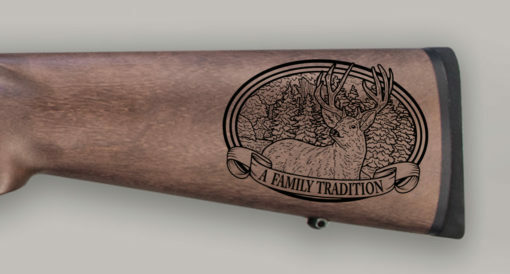 As the old saying goes, “there are no bad days out hunting in the woods”. 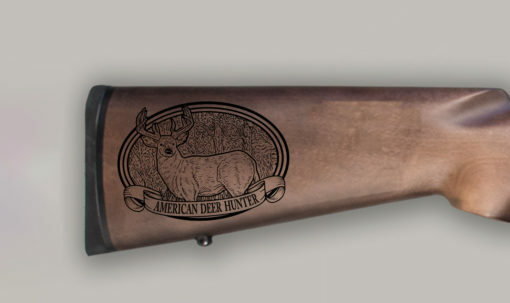 To capture this tradition, we have produced the American Deer Hunter rifle. 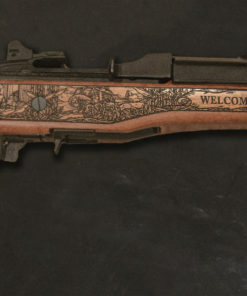 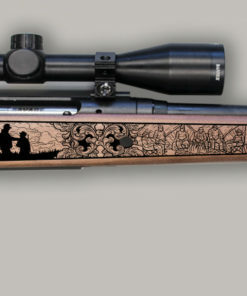 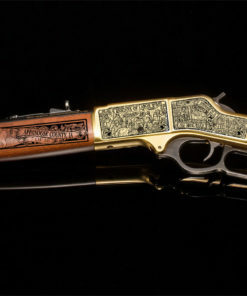 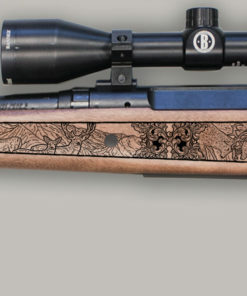 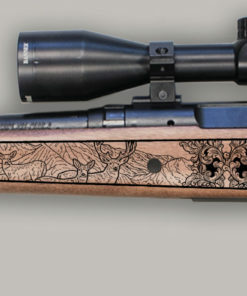 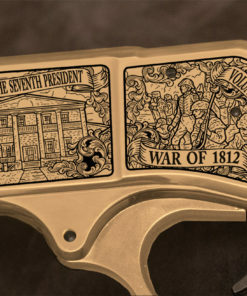 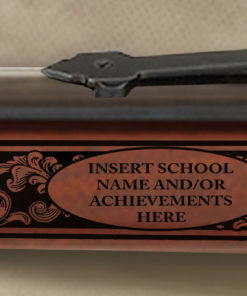 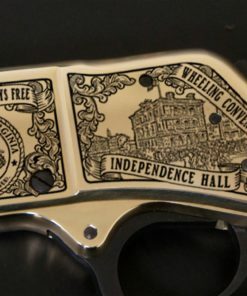 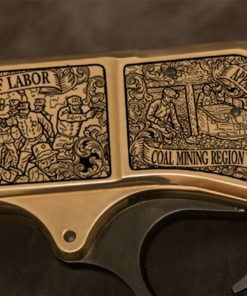 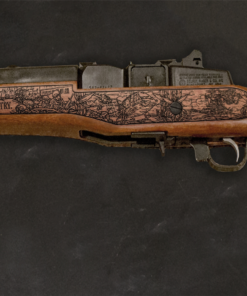 Engraved is a Savage Bolt Action Rifle chambered in either the .30-06 Springfield or .270 Win. 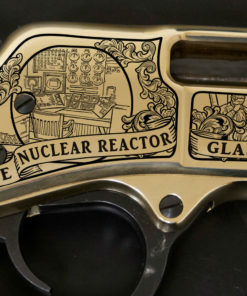 caliber. 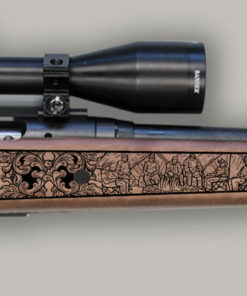 The rifle comes with 3X9 40mm scope. 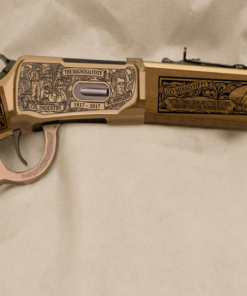 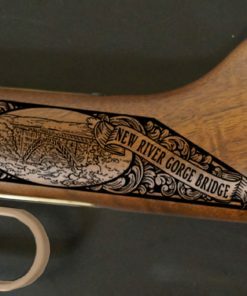 The wood stock is engraved on both sides capturing both the Whitetails and the Mule deer that are common throughout the United States. 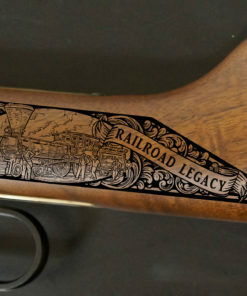 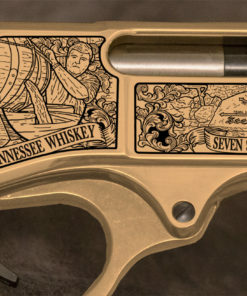 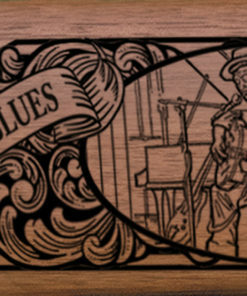 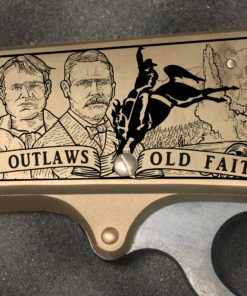 There will only be 50 numbered rifles made and edition numbers will be sold on a first come first serve basis. 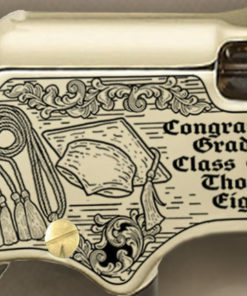 Call today to lock in your edition number.